On Thursday 12th Feb 2009 at 1pm, the RSA's Rachel O’Brien will chair "On Kindness", a talk with historian Barbara Taylor. "The pleasures of kindness have been well known since the dawn of Western thought. Kindness, said Marcus Aurelius, was mankind's 'greatest delight' - and centuries of thinkers and writers have echoed him. But today, kindness seems to have gone out of fashion. In the age of free-market capitalism and the selfish gene, kindness is all too often regarded narcissism or weakness. Have we, as a species, become deeply and fundamentally antagonistic to each other, with motives that are generally self-seeking?" 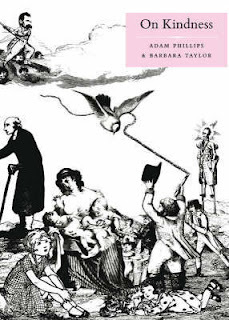 In her new book, On Kindness (co-authored with psychologist Adam Phillips), historian Barbara Taylor calls for a re-discovery of the pleasures of kindness, and argues that what the Victorians called 'open-heartedness' and the Christians 'caritas' remains essential to our emotional and mental well-being. For more information and to book a ticket, visit thersa.org/events.